Generation Zero Release Date Set for March | Nerd Much? If you’ve been hoping to get your hands on Avalanche Studios’ Generation Zero, you won’t have much longer to wait. THQ Nordic announced today that the Generation Zero release date has been slotted for March, and divulged details on the title’s Collector’s Edition as well. The game revolves around a group of teens in 1980’s Sweden. Coming back from vacation, they’re shocked to find their homeland desolated of humanity, yet riddled with robotic enemies now claiming the territory as their own. As a co-operative online shooter, the game allows for a group of four to play together online. However, the game is completely playable as a solo adventure if you opt to go that route instead. Another cool detail within the game is that all enemies are persistently simulated within the world. Meaning, should you attack a robot and eventually flee before defeating it, when you encounter it again it will still bear the same damage you initially bestowed upon it. Those that want to go all-in on the experience and pick-up the Collector’s Edition of the game will earn themselves some pretty cool swag. 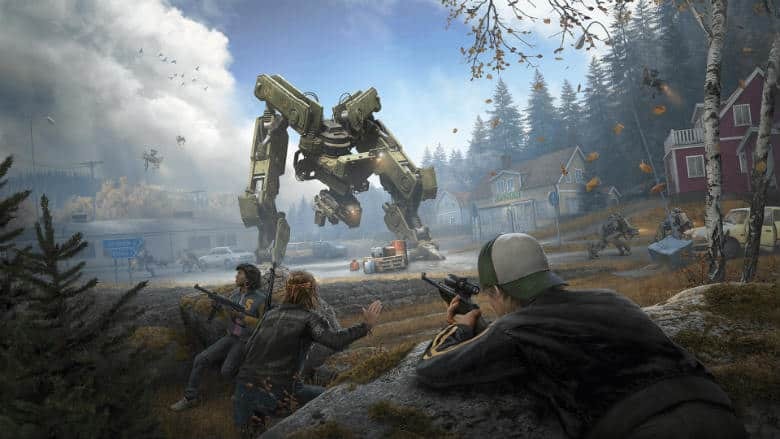 You’ll get a premium Steelbook game case, a cloth map of Generation Zero’s game world, a t-shirt, a unique Generation Zero take on the traditional dala horse statue, and of course, the game itself. Prices vary pretty radically between versions of the game for some reason, favoring Sony’s console quite considerably. The Standard Edition of Generation Zero is just $29.99 on PS4 through Amazon. Though on the PC and Xbox One the Standard Edition is listed for $39.99. The Collector’s Edition for Xbox One and PC runs higher as well with a price of $79.99 on Amazon. However, the Collector’s Edition on PlayStation 4 is currently listed for substantially less at $65.69 at time of posting this. THQ Nordic dropped a gameplay trailer for their co-operative shooter back in August. Give it a watch here if you aren’t up to speed and see if the title seems up your alley. The publisher has set the Generation Zero release date officially for March 26, 2019. Want to see what other potentially great games are coming in March? We’ve got you covered with our all-inclusive 2019 video game release schedule.